We are offering oil free gas compressors which are meant for dry compression of contaminated and aggressive gasses found in chemical and petrochemical plants. These ensure multitude of sealing and material solutions for efficient handling the worst applications. From approx. 600 m3/h up to 120,000 m3/h. Suitable for dry compression of process gases, e.g. lime-kiln gas, coke oven gas, hydrocarbon combinations, hydrogen. Note Overpressure single-stage up to Pe = 3,5 bar; overpressure multistage up to Pe = 40 bar; negative pressure up to Pe0,9 bar. Aerzen Machines (India) Private limited was established in the year 2005. 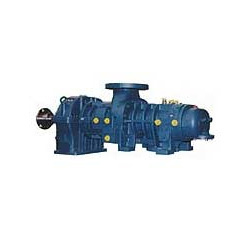 We are amongst the World's leading manufacturers and suppliers of industrial blower, vacuum pumps, industrial blower systems, process gas blower and neutral gas blower. The products offered by us are highly appreciated for their high performance. These products are available in market at reasonable prices and one can avail these products from us in bulk. These products are highly durable and reliable in nature. Our products are acknowledged amongst our customers due to their best-in quality. We ensure to deliver these products in various places across the country. For producing these products in bulk and meet the requirements of clients, we are backed with fully skilled and experienced team of professionals. They work in co-ordinations and passion to achieve the goal of the organization. Our professionals maintained a fruitful relationship with our valuable clients. We believe in team spirit which is the key of our success and growth in competitive market.